Laths are made using riven oak or chestnut and used in in the construction of walls and ceilings as a background for plaster. Listed requirements and conservation best practice for buildings often require replacement of like for like building materials. Riven oak laths are stronger than sawn soft wood and can be well wetted which assists the slow drying of the plaster giving a stronger key. 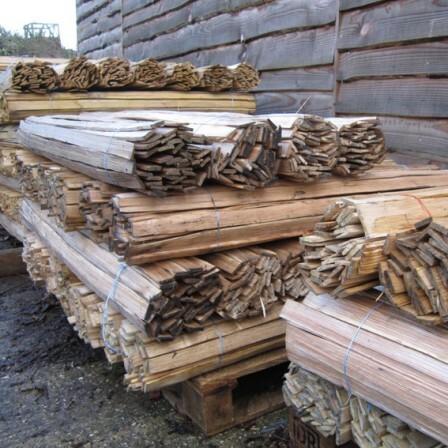 Laths can also be used to for decorative indoor and outdoor screens and fences normally used within a frame.